It may seem like the majority of fashion trends that exist are those worth sh*tting on, but actually, there are a handful that don’t make you choke on your lunch, and are worth trying out. One of those (and a personal favorite of mine) is the matching set trend. This has been a thing since like, Clueless last summer, and it’s not going anywhere any time soon. Matching sets are literally the best thing to happen to us since the discovery of iced coffee. I mean, even if you know close to nothing about fashion, the work is already done for you–just wear the coordinating separates. What, like it’s hard? Matching sets are the best, because you’re killing two birds with one stone when you buy them. In addition to one matching set, you’re also getting two separate pieces of clothing that you can wear a bunch of different times with different tops and bottoms you already own. Seriously, I feel like matching sets don’t get as much appreciation as they deserve. No one can make any excuses about why they don’t work. The only annoying thing can sometimes be if you are forced to buy the matching set as a set, as in, you can’t purchase the top and bottom separately. I’m sorry, name one person who is neither a Jenner nor a Hadid who is perfectly proportional on top and bottom. I’ll wait. Luckily for you, I found a number of adorable matching sets whose pieces can be purchased separately, so you don’t have to sacrifice fit. This set is fun, with a cute silhouette and flirty spring florals (so groundbreaking, I know). The puffy sleeves even add an element of “See, I can be trendy without even trying” to a casual summer outfit. The top looks amazing with high-rise jeans, and you can totes wear the shorts with a neutral colored bodysuit, too. I love this playful, feminine brand, because one time I saw Kristen Cavallari wear it, so…I guess she #influenced me. It’s all around ridiculously cute with boho chic vibes. This set is perfect for summertime because white is the season’s best color, and enhances everyone’s fake tan. The top is kind of flowy, so no one will notice whether you’ve been working on your beach bod or not, and the skater skirt will look fab with any other color top, too. Another major trend this year is animal print. I mean, f*cking duh. You can’t walk two blocks without seeing someone dressed head-to-toe in snake or leopard print these days. 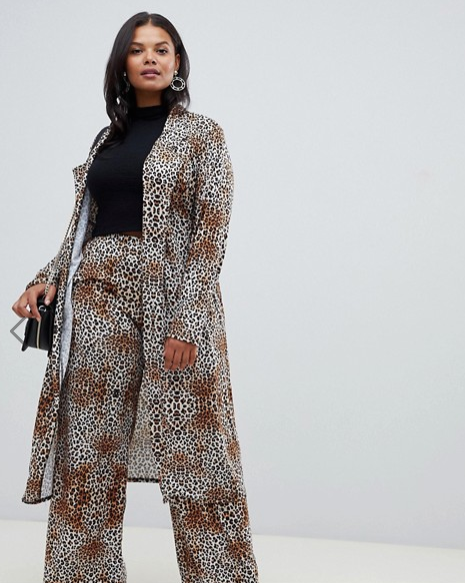 I love this set because yeah, you’ll look like an influencer, but also because it comes with a duster jacket you can wear a million times to dress up any other outfit. Bohemian pants are always a big win when the weather permits, aka when it reaches 70 degrees and above. Look, sometimes jeans just aren’t worth it. Anyway, these soft, stretchy pants make your legs look miles long, and also help elongate your torso. The overall effect is that you look like you’ve been hitting the treadmill, even if you the only time you run is to catch a train. The tie-front crop top is just an added bonus if you’re feelin’ frisky at like, a beach bar, but the day after, you can always pair it with high waisted shorts, too. Matching sets are the ultimate spring and summer wardrobe staple this season, and with these, you can seriously mix and match to find your best and most flattering fit.